Christine de Pizan (1364-1430) was an Italian French poet. 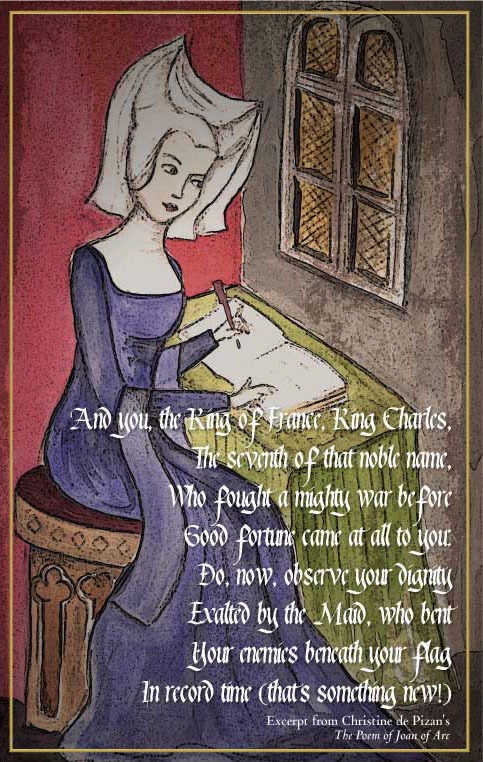 She served as a court writer for a few dukes and the French royal court during the reign of Charles VI. She completed 41 works in her 30 year career and is regarded as Europe’s first professional woman writer. Her most famous work being “The Book of the City of Ladies” which tells the story of a symbolic city in which women are appreciated and defended.